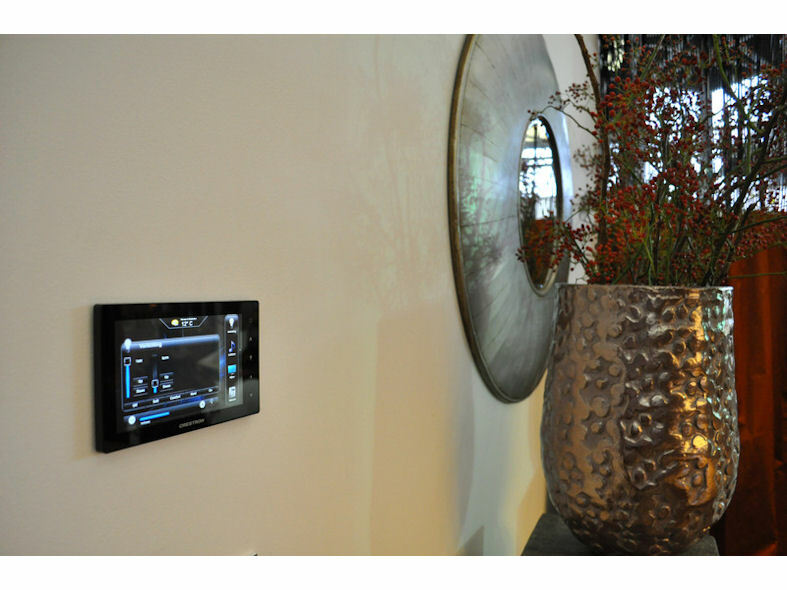 Crestron Touch Screen Panels are a beautifully stylised touch screen that enables you to control any room in the house. The new TSW-552, TSW-752, and TSW-1052 deliver outstanding performance and are convenient and easy to operate. Their sleek design and instinctive controls have rewarded TSW touch screens with an extensive number of industry awards whilst incorporating voice recognition capabilities and on-screen web browsing. Crestrons state-of-the-art TSW family of touch screens are the latest mobile device to provide total control from wherever you are in the house. 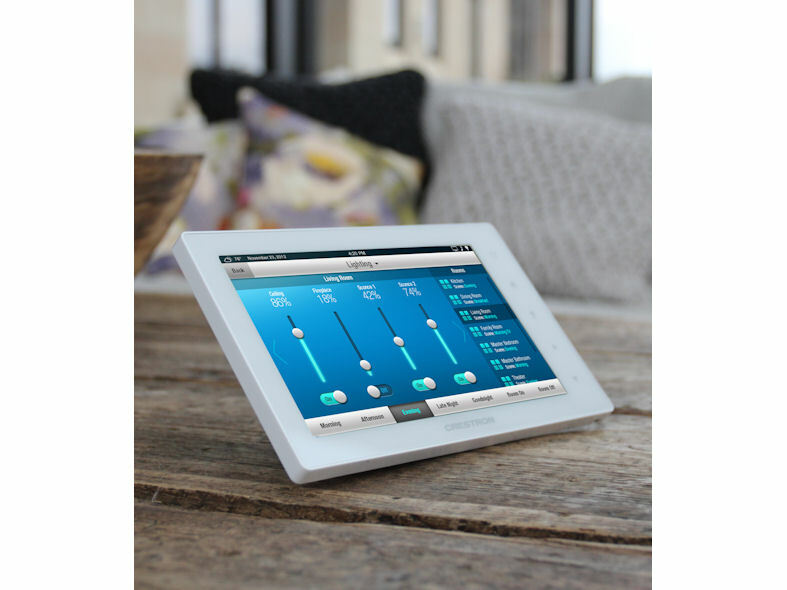 This high-performing device with its elegant design sits perfectly within the Crestron profolio. Featuring exclusive Smart Graphics™ technology, TSW touch screens deliver ultra-bright display, capacitive touch control, and H.264 streaming video that ensure sensational customer experiences. Crestrons new TSWs now provide the user with the ability to use voice commands to control basically anything with a touch of the screen; from playing music, locking doors, to raising blinds the system has no limit to its functions, and totally eliminates the need for navigating menus or scrolling through lists. The new TSW system is also supported for more than 25 different languages and dialects, and can be programmed to accommodate anyone who wishes to use it, from homeowners, service staff and guests. To watch the big game, all a customer has to do is press the Voice Recognition button on their new TSW and say "Watch ESPN®," Regardez ESPN, "Observas ESPN," Assistir ESPN," or "Guarda ESPN," and Crestron does the rest. The new TSW touch screens are now as convenient as they are powerful. With new built-in web browsing, customers can now connect with their favourite social networks, check email, and search the web, as well as control everything in the room -- all from one screen. The updated on-screen keyboard allows customers to enter URLs, search terms, and passwords in over 20 languages.